Having an awning can give your building some protection from the elements like rain, wind and the sun. Some awnings are made from canvas and some are made out of plastic. 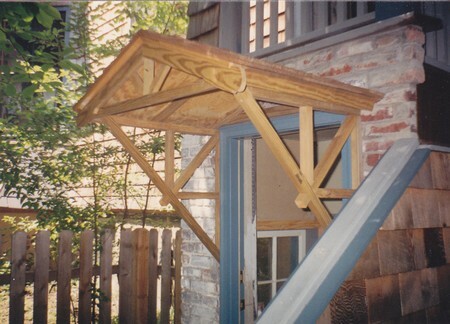 Making an awning is an easy project to take on and complete. You can save some money by doing this job yourself. This project is quick to do and materials are easy to find. Here is how you can build a simple awning for your house or building. Continue reading below to find out how. First measure the area that your awning will cover. You will need to buy your material slightly larger than your actual measurements of the area. 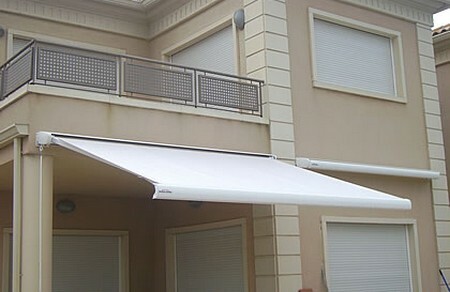 You may choose to make your awning from plastic or canvas. This extra material leaves way to place a hem. Hem the cloth at the ends or plastic shade material that you are constructing the awning out of. You can use a sewing machine to finish this part quickly, or you can do this step with a needle and some nylon thread. If you are using a sewing machine, use a straight running stitch. Place a grommet into the each of the corners of the awning cloth. Drill two pilot holes into the building. The holes should be located where the corners of the awning will be hung.Place a screw hook into every hole. Preparing the pilot holes beforehand stops the wooden siding from splitting. This makes it very easy for you to place the screws in right. A key ring has to be placed through both of the grommets located on the side. They will be positioned against the house or building. Put the first key ring on the right screw hook and the second key ring on the left screw hook.This supports one side of your awning. Stretch the awning cloth out to decide where each pole should be positioned. The poles should be driven into the ground or they can have flat bottoms allowing them to rest on the ground. Determine the most secure way for you. Set the poles vertical and place the awning cloth on the poles by hooking a grommet to each pole. Use some rope to tether the awning down. Tie the grommets with both sections of rope where the poles are. Move one section to the front on each side and use a stake to secure to the ground. Repeat the same on every side for the other two sections. Enjoy your new awning.